our latest CD for the Holiday Season! Currently, the band is playing selections from their recently released CD entitled, Blue Moon Shuffle. This album includes such classics as "S'Wonderful" and "Ragtime Annie" as well as original pieces such as the title track. 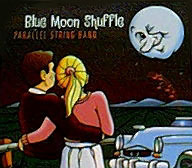 Dan Shramek of WRIU felt "...Blue Moon Shuffle has the spontaneous feel of a live performance, and they interject a fresh sound to their traditional influences." 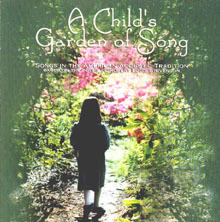 The Parallel String Band can also be heard performing on "A Child's Garden of Song." This is a compilation CD, featuring some of the finest traditional musicians in New England. It is based on the poems of Robert Louis Stevenson, set to music by Rick McKinney. 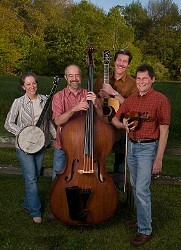 For further information regarding bookings or CD's, please contact ParallelStringBand@cox.net.